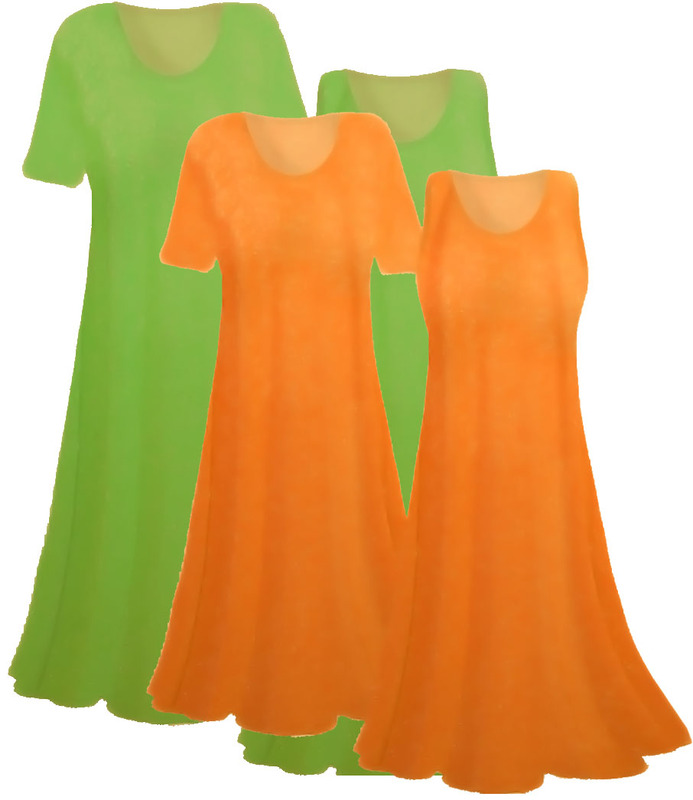 Solid green or orange slinky plus size & supersize dresses, jackets, shirts or skirts! This is a beautiful lightweight slinky fabric! It's available in sizes Large to 9x (check measurements below! )And you can customize the length/neckline/sleeves, etc. They're machine washable & very stretchy, with a great drape!